There are selected pleasures afforded a discerning gent, although in truth, many of the norms associated with maintaining a certain polished decorum are hardly what one might call a chore. Often, it’s the things we take for granted done well that can really mark out the man. A hot towel shave? Oh, to remove that daily grind into someone else’s – someone professional’s – hands every so often. Fine bespoke tailoring? Isn’t a perfectly cut suit rather empowering? A connoisseur’s knowledge of fine single malt? If you insist. In celebration of one of the gentlemen cadre’s finest, and someone for whom such indulgences were almost a daily ritual, we can but turn to one legendary figure; Sir Winston Churchill. 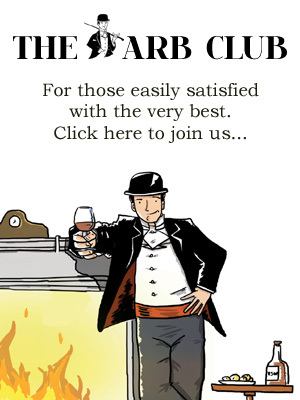 And, more specifically, one venue that has become synonymous with the man – and, indeed, an Arb favourite – The Churchill Bar at Portman Place. Launching on Winston’s birthday, 30 November, and running through the festive period to March 2019, the Hyatt Regency London and the Churchill Bar are offering guests the chance to follow in the great leader’s footsteps with an indulgent Churchill Experience package, where guests will become acquainted with how Winston Churchill liked to spend his leisure time and wind down from his public appearances. Overnight accommodation in fine digs notwithstanding, it’s the additional perks that make up this fine package; Churchill’s preferred champagne, Pol Roger, greets you in your room on check-in; his favourite cocktail, ‘The Water of Life’, is offered as an aperitif before dinner at the hotel’s restaurant, The Montagu Kitchen, with a meal inspired by records from Churchill’s former residence, Chartwell. But no gentleman worth his salt would start his day without one dayspring liturgy, the shave. And for this we turn to none other than Truefitt & Hill, Churchill’s barber for over 40 years. Tending whiskers since 1805, Mayfair’s most iconic barbershop is as synonymous with the word ‘gentleman’ as Jermyn Street and Savile Row, and it’s in Truefitt’s pop-up, installed specially for the occasion in the Hyatt’s hotel lobby, that our experience starts. In the capable hands of Master Barber, Michael, my beard is rubbed in with pre-shave oils, notes of cedarwood and citrus gently comforting as I relax into the chair. I’m equally refreshed as de-stressed as my face swaddled in hot towels, before the ever-so-slightly nerve-jangling moment or two when the blade tackles the tucks and corners of my chin. But with each stroke the strains of the day are wiped away, and I part company crisply clipped, dusted in talc with a cloud of T&H’s signature cologne wafted neckward. For my part, I’d elected for a pre-prandial refresher, the hot towel shave setting me up for a spin in the Churchill Bar and Terrace. And if his ‘Water of Life’ is not your thing, there are plenty of Churchillian turns on offer to prepare one for dining. In particular, the team in the bar have come up with a delectable flight of single malt cocktails designed to take one through a sensory tour of the Scotland, a favourite of the old man’s. As much theatre as aperitif, each is presented in spectacular fashion on bespoke wooden vessels (the Pythagorian cup is particularly clever, with your drink threatening to vanish should you sip too much in one go), and each focusing on one of the five senses. Some two years in development, these cocktails are spectacularly thought out, the menu introducing each with a backstory, and they are as innovative as they are interactive. 10-year Talisker, for example, has been warmed through with Chartreuse, honey and lavender, and topped with Talisker-infused foam, presented on a barrel base with barley and cuts of peat. For my part, The Taste of Islay, with Caol Ila 12 given a herbal spin with Carpano Antica vermouth and nunquam bitters over a neat trick of a Churchill-stamped ice cube, is served with nuggets for the tastebuds (from creamy fudge to Parmigiano) taking one through a panoply of flavours to complement the cocktail. To enjoy these on the terrace, wrapped in tartan blankets and shagpile throws, I commented to Winston’s bronze in the chair next to me, far from feeling like his scotch had been adulterated, I think the great man would have relished them. His words echoing as I toast his birthday, “Of all the small nations on this earth, perhaps only the ancient Greeks surpass the Scots in their contribution to mankind.’ Quite right, sir. Many happy returns, Sir Winston! The ‘Churchill Experience’ package is priced from £599 per room based on two people sharing. For further information, visit hyattregencylondon.com or to book, please call 020 7486 5800 or email london.churchill@hyatt.com and quote ‘Churchill Experience’. The Churchill’s Bar’s Caledonian theme continues through the New Year.